Who’s getting the biggest chunk of your paycheque every month? Is it your bond? Maybe your car repayment? School fees? Now the great thing about all of these is that you’re getting something for your money. Eventually, that home will be yours – that car yours – but spare a moment for those expenses where you seldom get anything back. Think along the lines of car insurance? Or what about medical aid? Wouldn’t it be nice if you could save on medical aid? Every now and again I meet people on the wrong medical aid plan for their needs. Think about this a moment; how much thought have you given to choosing your medical aid compared to buying the car you drive? If you’re like me then you started with the cars you liked but couldn’t afford. Then you started rationalising things: “Okay, I can buy a 4-year-old Mercedes or a brand new Hyundai…” Then you took a few cars for a spin, and let’s be honest, even a few which were completely out of your price range. And eventually, you end up buying a car you couldn’t afford anyway, right? Right now I’m dealing with a lady where the ‘run-flat’ tyres cost R3, 000 a piece. She’s already replaced two because of potholes in the year she’s owned it. Who doesn’t want the Rolls Royce of medical aids? We all want to know that if we see a dentist, it’s paid. If we need an operation, that we’re booked into a private ward in the best hospital in South Africa – and it’s paid. But are we willing to spend R10, 000 a month for the privilege? Knowing how much you can spend eliminates most of the wishful thinking. Without knowing what you need how will you ever know which plan to choose? So grab a pen and paper and make some notes. 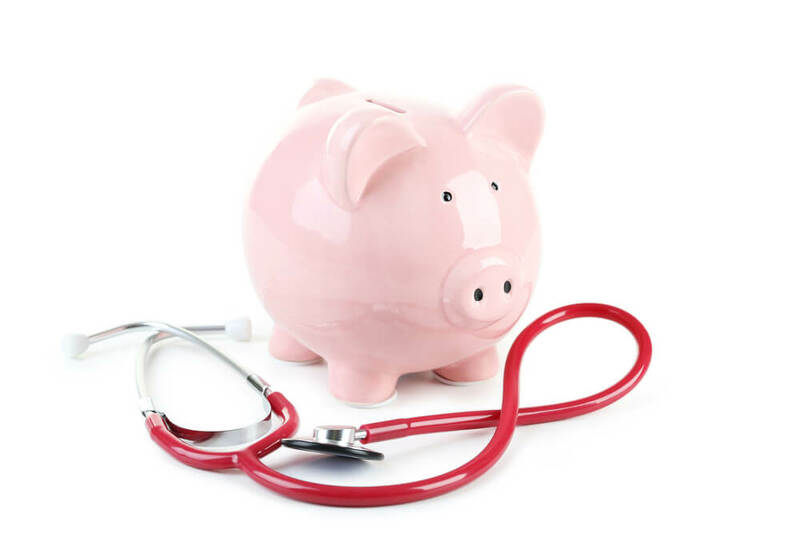 How much have you spent on day-to-day healthcare expenses over the past twelve months? How were those expenses broken down? GP visits – R3,000? Hospitalisation – R0? Dentistry – R5,000? Medication – R2,000? If you already belong to a medical aid scheme, it’s even easier. Just ask them to send you a copy of your claims history for the last twelve months. Which of those expenses where once offs which won’t come up again soon (like childbirth) and which are likely to come up again and again (Like the flu)? Twice a year you should see the oral hygienist so it needs to be included in the budget, right? If you find that you seldom use the medical aid and are unlikely to claim unless you need a serious operation, then all you need is a simple hospital plan. If you run out of savings by March, then you need a plan with more savings or an above threshold benefit. A 20-year-old who hasn’t seen a doctor since the day his mother gave birth to him needs something quite different from the 50-year-old with high blood pressure and diabetes. Okay, now we know how much you can afford. We also know how much you spent on medical expenses last year and how much you expect to spend going forward. The major risk is being involved in a medical emergency and not having the money to pay for a private hospital. Hospitals are businesses, and if you rock up at a private hospital you need to whip out either your medical aid card…or your platinum credit card…or both. This is what the majority of your medical aid premium is used for. A smaller portion of your premium – either 25% or 15% of the total premium – is used to fund your out-of-hospital expenses. You know? The dentist bills, the doctor visits. Cheaper plans usually offer a different medical aid tariff rate to the more expensive plans. The tariff rate – or health rate – is simply what your medical aid scheme will pay for a procedure while in hospital. Some plans might offer 100% of tariff rate while other plans cover you at 300% of tariff rates. Say you need an appendix operation and your surgeon and anaesthetist charge R10,000 for their combined services. But your medical scheme has set the tariff rate for the procedure at R5,000. If you’re on a plan which is only offering 100% of the medical tariff rate, then your medical aid will only pay R5,000 for the procedure. The balance of R5,000 is from your own pocket. What’s really scary is that it’s almost impossible to compare two different medical aid schemes. Let’s say Company A costs R2,000 a month for a plan offering 100% of the Company A tariff rate. Company B offers a similar plan at 100% of the Company B tariff rate but at a lower cost of R1,800 a month. You and I would assume that Company B is the better option since it is the cheaper option. But this would not be if the company B tariff was half that offered by Company A. In the next post, we will take a look at choosing a medical scheme by identifying whether your medical scheme is under financial threat. In other words, in this article, we looked at the plans being offered to you right now. In the next article, we look at how stable the actual medical scheme is. This year i visited a Specialist and which of course on a some few test, and xrays “The Shark” wiped out my MSA and i dont have the threshold benefit, now i am sitting with the decision of why am i still with the provider while i don't have a single cent on my day-to-day benefit. Hi Stanford. Thanks for your email. I am glad you are enjoying the articles. Yip specialists can wipe your MSA account out if you aren’t careful. Actually nowadays even your medical bills for in hospital procedures are coming back unpaid. Check out my new article on medical aid top up cover (home page of the blog). The problem you are going to have if you jump ship and move to another medical aid is that you are still going to owe your current medical aid some money. Why you ask? Well it's because the monies in the MSA account is loaned to you upfront for the year provided that you pay all 12 premiums in the year. If you use up all the MSA by mid-year and decide to bail you have effectively used up the loaned money but haven’t yet paid it back with your premiums. Sit tight for the remainder of the year and re-look your options again for next year. Without the threshold benefit you are going to need to pay for the day-to-day expenses your MSA would have covered out of your own pocket. Yeah Brendan i guess i am screwed here i just have to stick it out for the rest of they year i guess, which brings me to my next point about Specialist and how they operate , is there any regulations on this Medical field since i feel most citizens are getting ripped off here, let me give u an example on my scenario. coverage is limited to in-hospital procedures. 1) Taxes -Direct +- 30% – Vat 14% Fuel,Road,Toll,School fees and all the other charges that Government levies at departmental level ( a friend was recently aksed to pay for his finger prints at a Police station) Cipro if you have a company. All the Government depart ments are now revenue offices so make sure you understand what you are paying twice for. 2) Interest- which in most civilised countries is <5% and is tax deductable-not in SA!!! 3) Private school fees -these are being paid on top of the taxation you are charged for education (which is the 2nd to 3rd largest government budget). You send your children to private schools because of the appalling standards and conditions prevailing in government institutions. Once again you are paying twice. In most civilsed countries tertiary education is covered by government and or private grant. In SA you pay! 4) Medical which once again you are paying twice for -i.e.via taxes (the benfit of which you dont get and perhaps you dont want). So before you do any dumb budget calcs be aware of what your real budget is or if you are one of those gingoistic South Africans who see nothing wrong with the above and are blind to everything that is abhorrent in Africa then carry on an support a corrupt and evil system! aid plan in place…or to emigrate (which isn't always an option)! Hospital plans are designed to take care of you when you are admitted into a hospital and need medical attention. However a hospital plan will not pay for your medical needs, instead it pays you for everyday you spend in hospital. The company you purchase the cover from will pay you a selected amount in to your personal banking account for every day spent hospital. This money may be used however you see fit. Be it to pay for the medical bills or even to make up for the lost income during the period you were admitted. The options are literally endless. Can I choose which benefits I require, I am a woman aged 49 and no longer require maternity benefits. Can I cancel this benefit and increase another benefit. get to control the spend..